Episode 118: How can I be more productive? 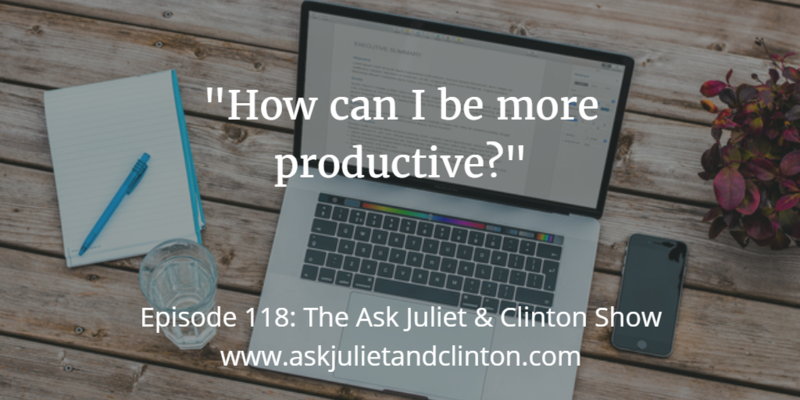 In this episode, Juliet and Clinton answer the following questions: 1) How can I be more productive? 2) How can I get more subscribers for my email list? 3) How can I find an SEO company that understands my industry? Episode 112: What is the best type of Facebook group to have? Is that different from a Facebook page? 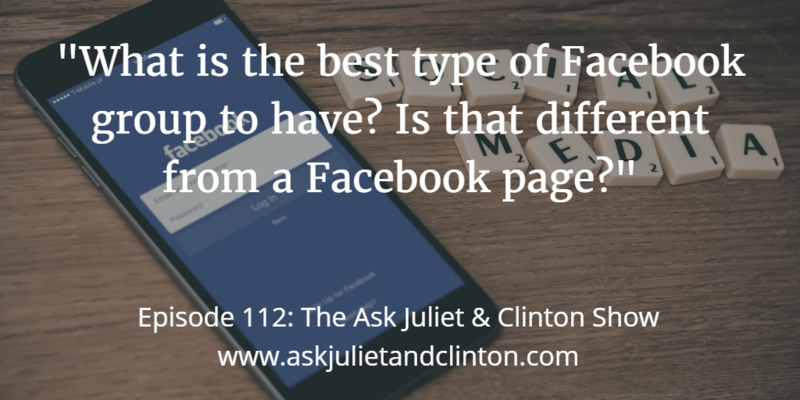 In this episode, Juliet and Clinton answer the following questions: 1) What is the best type of Facebook group to have? Is that different from a Facebook page? 2) What are the best online calendars, and how do I manage my schedule without it getting out of control? 3) What is the best strategy for referral marketing? 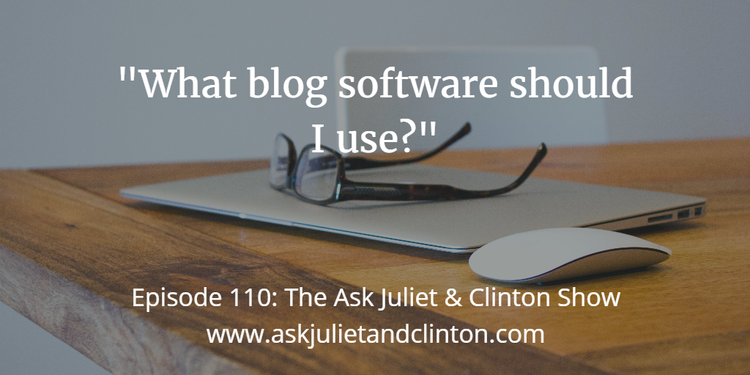 Episode 110: What blog software should I use? 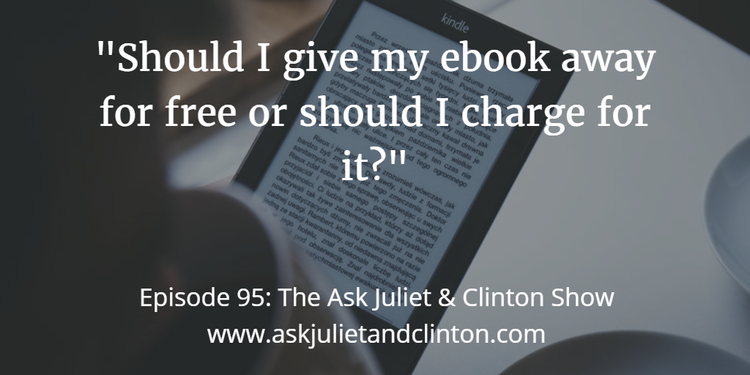 In episode 110, Juliet and Clinton answer the following questions: 1) What blog software should I use? 2) What can I use to write notes and store them electronically? 3) When is the best time to take on an associate? 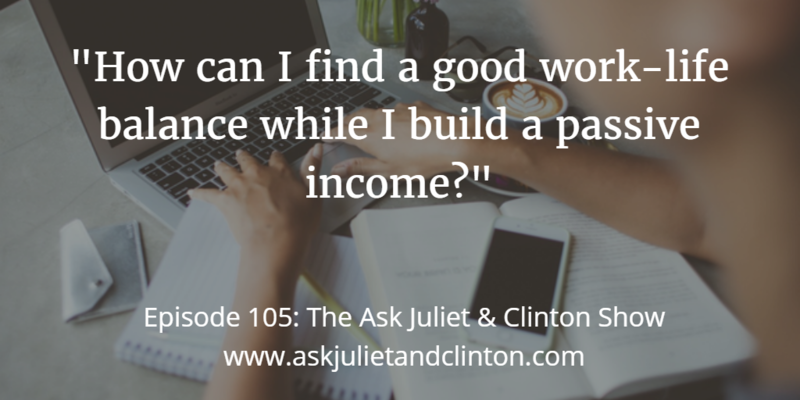 In this episode, Juliet and Clinton answer the following questions: 1) How can I find a good work-life balance while I build a passive income? 2) When should I start creating content for my new blog? And 3) What should I put on my website’s About page? 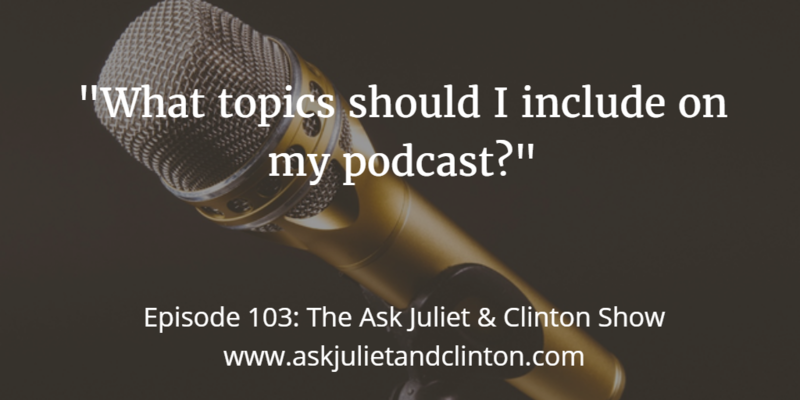 Episode 103: What topics should I include on my podcast? 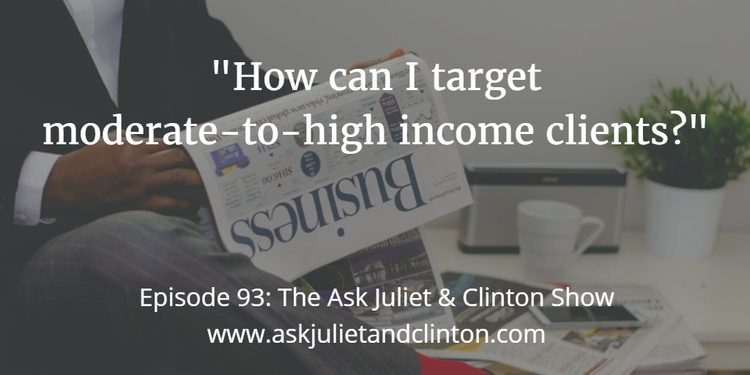 In this episode, Juliet and Clinton answer the following questions: 1) What topics should I include on my podcast? 2) How long should my podcast be? And 3) How do I get listeners for my podcast? 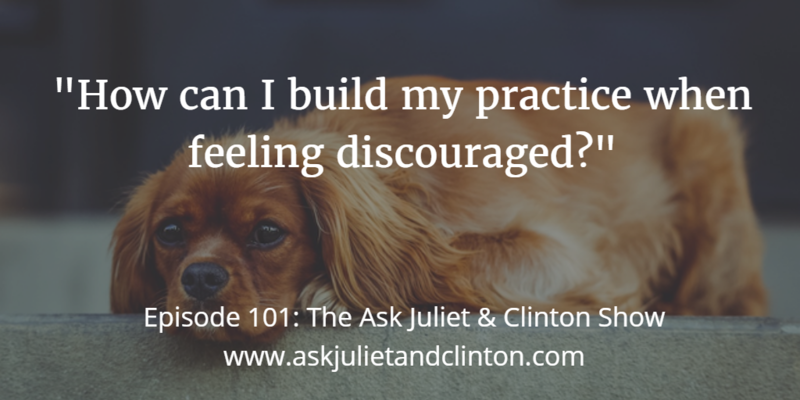 Episode 101: How can I build my therapy practice when I’m feeling discouraged? 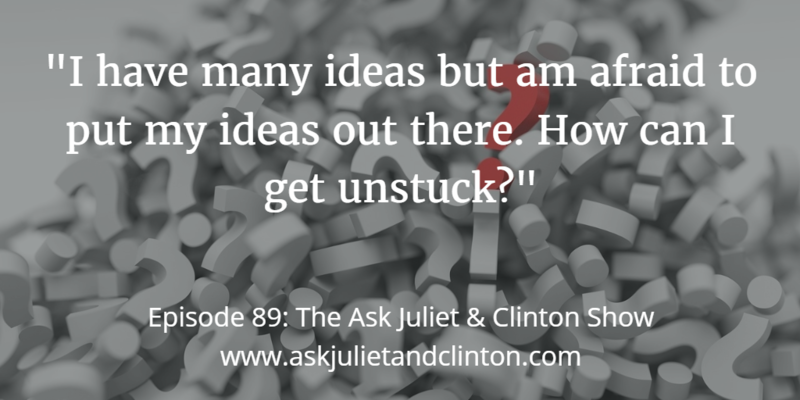 In this episode, Juliet and Clinton answer the following questions: 1) How can I build my therapy practice when I am feeling discouraged? 2) What should I do if I don’t like the design that my web designer sent to me? And 3) What financial numbers should I track in my business? 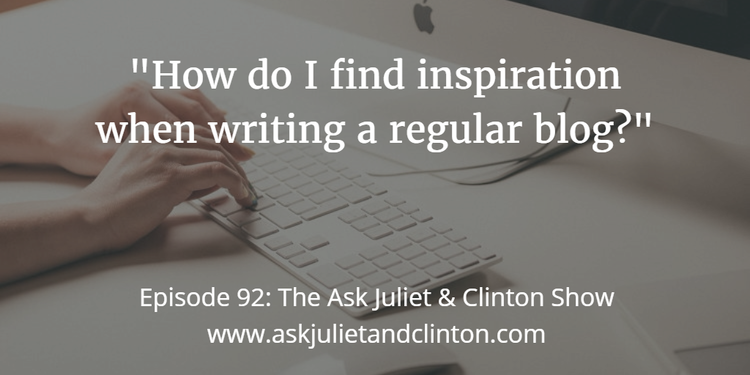 In this episode, Juliet and Clinton answer the following questions 1) How do I find inspiration when writing a regular blog? 2) What do you think about new payment systems that share the purchase on social media networks? and 3) How do I support my practice if my niche starts to change?